An SAR Affiliate based in Arlington County, Virginia. On the morning of Thursday, August 30, Chapter President Pete Davenport was on hand for a ceremony at a local elementary school, and presented the Flag Certificate on behalf of the Sons of the American Revolution. A video of the ceremony is available online by clicking here. The outdoor morning ceremony was attended by the local community, at which Discovery Elementary School (Arlington, Virginia) honorably retired its first American and Virginia flags, which were first raised over the school the day after Labor Day 2015. After four years, the flags became unserviceable, and were in need of replacement. Physical Education Teacher Mr. John Duffy – who is also the AAA Safety Patrol leader for Discovery – conceived the retirement ceremony as a civics lesson, to help show students that the flags they respectfully raise and lower every day should be disposed of properly. Each morning, students at Discovery are responsible for raising and lowering three flags: The Flag of the United States, the Flag of Virginia, and the Eco-Schools USA Green Flag. Chapter member Keith Reeves is the educational technology administrator at Discovery, and he designed and led the ceremony, based upon the American Legion retirement ceremony first commissioned in 1937. By using language appropriate for elementary age-children, the ceremony explained the purpose of burning the flag in honor as retirement, and featured student Patrol leaders speaking about the importance of service in our community. The Discovery Flag Retirement ceremony explicitly honored those guests who represented the local community, including representation by CDR Taylor of the United States Navy, President Davenport, Officer Velez of the Arlington County Police Department, and the crew of Company 6 of the Arlington County Fire Department. The flag was then honorably burned, followed immediately by the raising of the new Flag of the United States, pulled swiftly to the top of the pole, then slowly lowered, following the Flag Code and orders of the day, which at the time ordered half-mast in honor of the late Senator McCain. 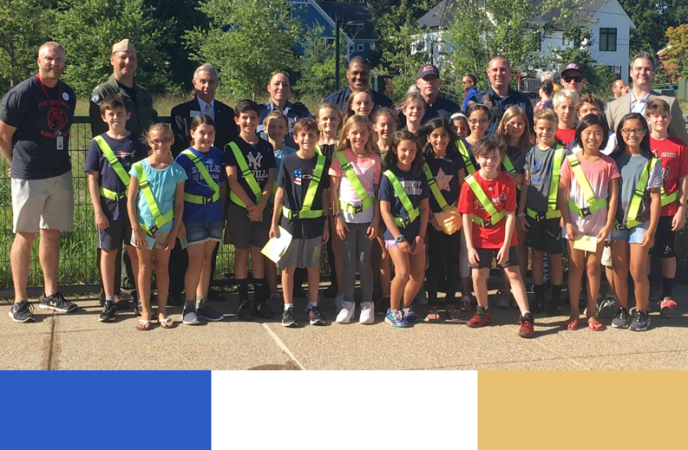 By honoring the flag in a public retirement ceremony, students were able to learn another aspect of responsible Flag Code protocols, and to reinforce the values of respect, community service, and thoughtfulness as part of the Discovery and Arlington communities. Discovery was honored to be conferred the Flag Certificate. Next week, Compatriot Reeves and Mr. Duffy will help Discovery raise a Freedom Foundation Flag on September 11, memorializing those who lost their lives in that event, which is particularly relevant to the families of Arlington who lost loved ones at the Pentagon. Discovery Elementary School is the largest zero-energy elementary school in the United States, and the largest zero-energy building in the world certified by the International Future Living Institute. Its principal is Dr. Erin Russo, and it was designed by VMDO Architects out of Charlottesville, Virginia. Click for current display conditions for the National and State flags, as well as proper flag protocol. 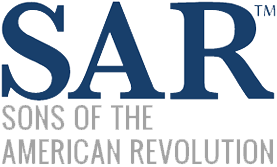 Content hosted on SARGMC.org is © 2018, George Mason Chapter, Virginia Society, Sons of the American Revolution. All rights reserved. Click here to contact the George Mason Chapter.